I wanted to share with y'all a few of my goals/resolutions this year. Several of these go right along with my life list, which you'll remember from here. 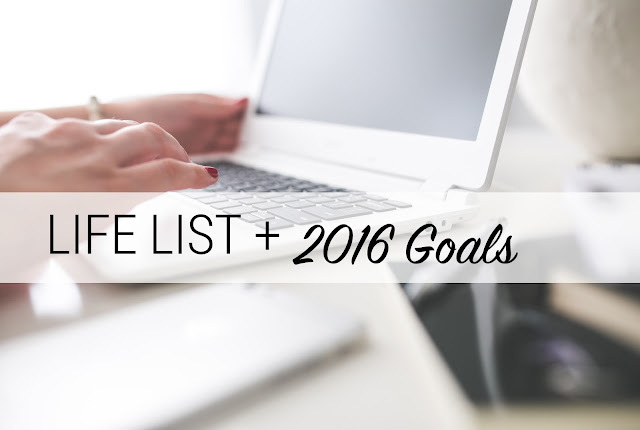 I just recently updated my list and it was so exciting marking quite a few off!! It's so intriguing to see how my interests and goals change and evolve year over year and I enjoy being able to look back on things I have accomplished or even maybe haven't yet. If you've been thinking about doing this, I encourage you all to sit down and list out your goals, trust me it's not only therapeutic but also helps you to hold yourself accountable. Thanks Meghan! Yes, organizing my files is a must do for my sanity (you should see my desktop lol-files everywhereeee) Hope you had a great New Year!